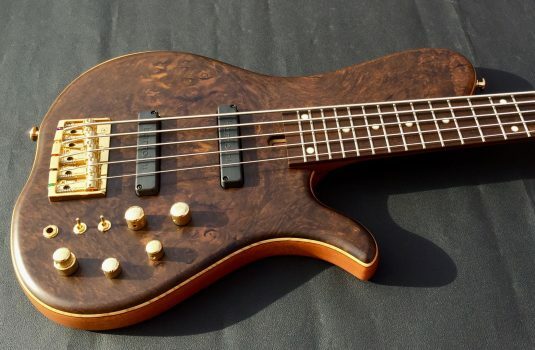 Handmade in the UK , Overwater has been making fine instruments for 30 years. This example is a fanned fret. 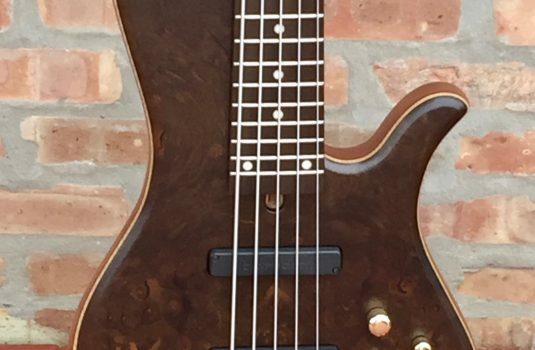 Play this bass and see if you even feel the fan fret “difference “. 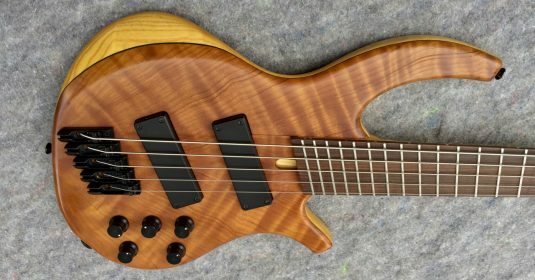 ( I speak from experience, as I play a Le Fay fanned fret bass ) So, what is the point ? 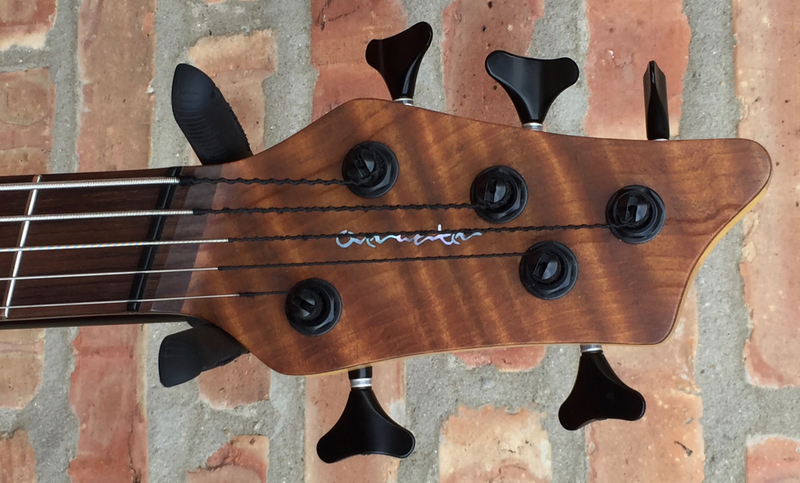 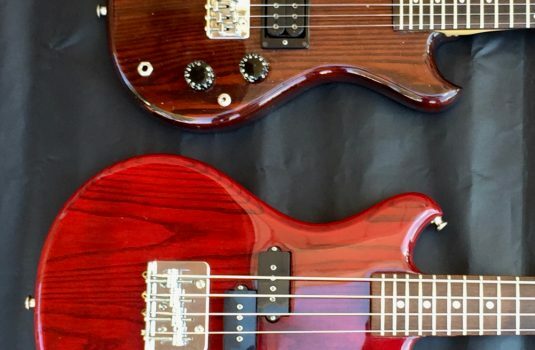 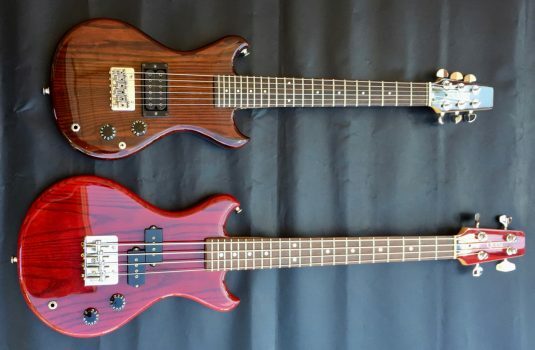 The fanned-fret layout is a superior design – especially for electric basses. 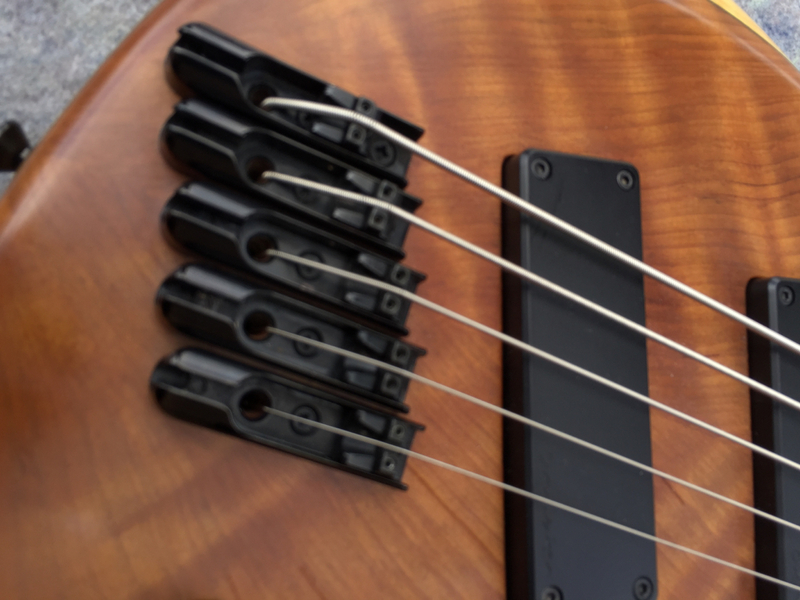 It allows for slightly higher tension in the lower-voiced strings, making them “tighter” with a more focused tone and more sustain. 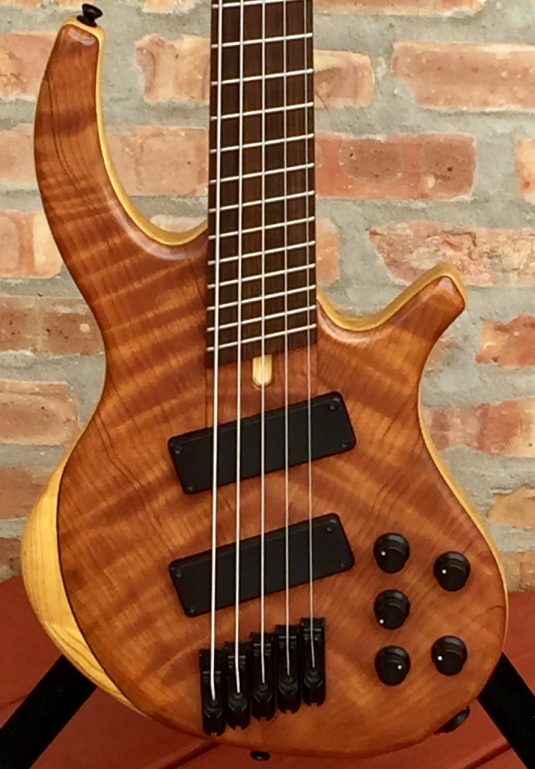 Very easy to play with no period of adjustment. 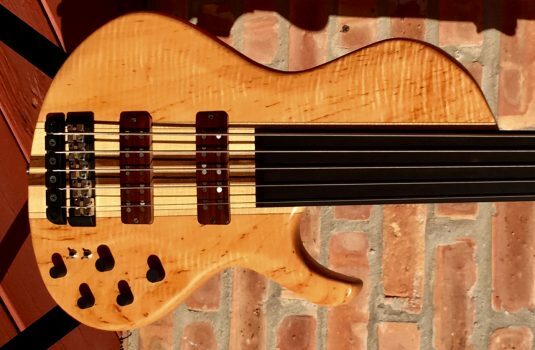 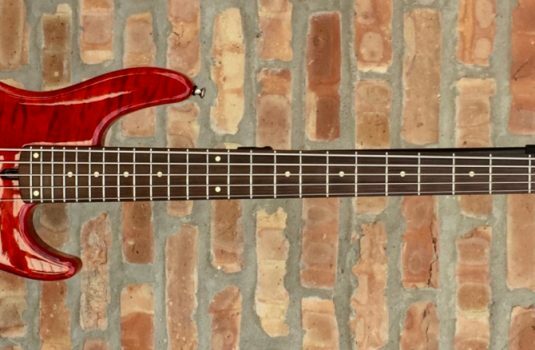 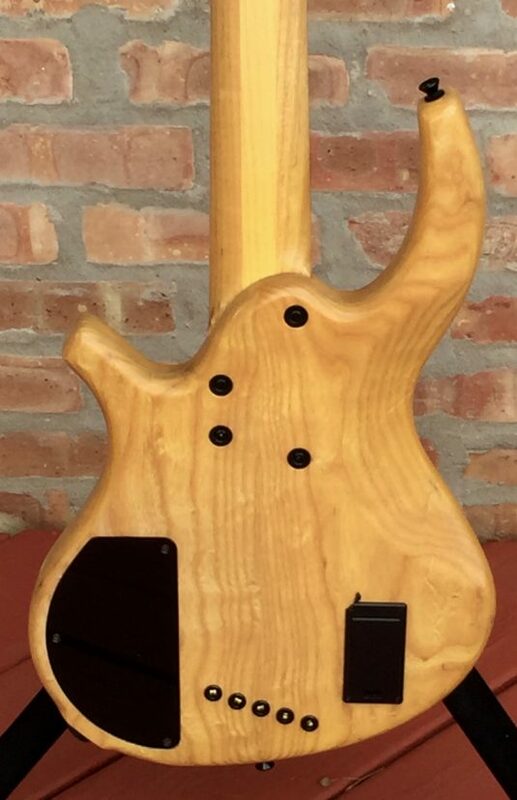 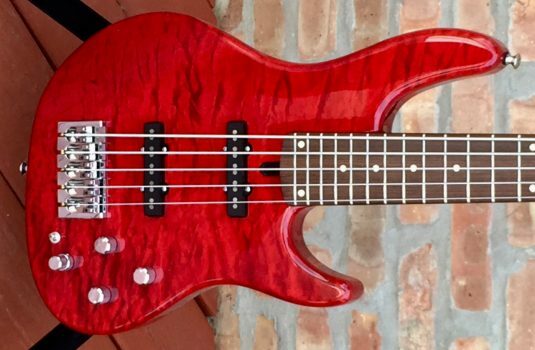 This 2014 bass is in mint condition.